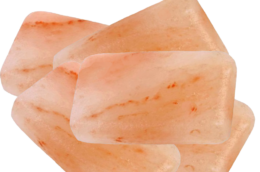 Our Himalayan Salt Lamps are top quality, hand crafted works of art. 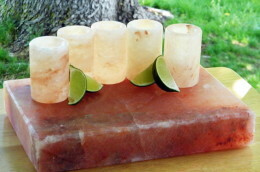 Made from 100% pure Himalayan Salt crystals, these salt lamps are truly enchanting additions for your home or office. These stunning, organic lighting fixtures produce earthy, soothing lighting that helps create a tranquil, uplifting atmosphere anywhere they are placed. Complimenting their natural beauty and warm, soft glow, Himalayan Salt Lamps also help to naturally cleanse the air by emitting negative ions. Negative ions have been scientifically proven to diminish the amount of harmful particles in the air, helping to remove allergens such as mold spores, pollen, various environmental pollutants, and even detrimental electromagnetic frequencies. The effects of negative ions even help to naturally dilute odors! 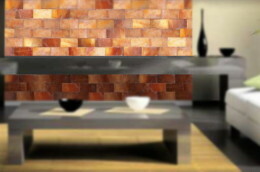 All of this aside, Himalayan Salt Lamps help to enhance the indoor environment with their warm, earthy glow. 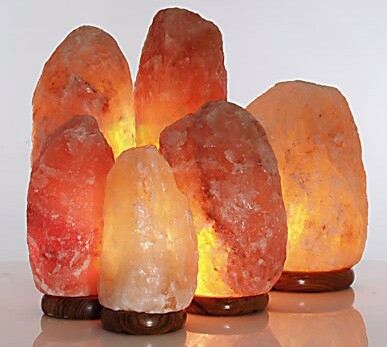 The ideal lamp for all-around air cleansing coverage, these 11-14lb Natural Himalayan Salt Crystal Lamps provide negative ions for 130 sqft of space, perfect for bedrooms, dens, and kitchens. 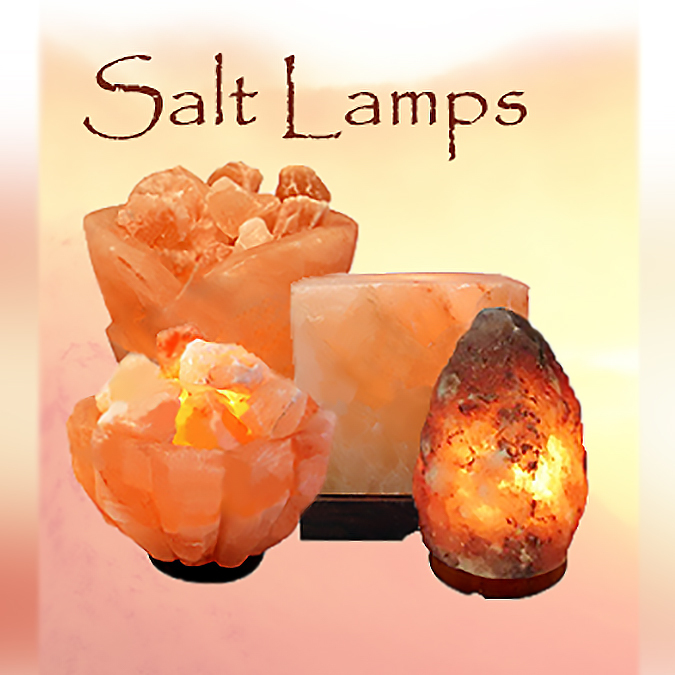 Brighten any medium sized room of your home with one of these beautifull, 100% pure, organic Salt Lamps, or get more than 1 to add this relaxing ambience to larger rooms of your home. 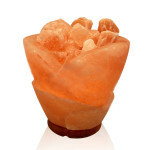 Himalayan Salt Crystal Fire Bowl Lamp - Large 8"
Hand carved from a single chunk of pure Himalayan Salt, and loaded with quality pink salt crystals for a simply stunning, one of a kind display! 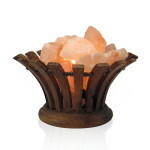 Enjoy the simple beauty of Natural Himalayan Salt Crystals glowing from inside the Natural Bamboo Basket! Our stunning cylinder or pillar shaped lamps are hand carved from 100% natural Himalayan salt crystals for a simple yet elegant lighting feature that also cleanses the air for a healthier indoor atmosphere. Perhaps you have seen lamps that look like “glowing rock lamps”? Well, Himalayan Salt Lamps are most likely what you saw. 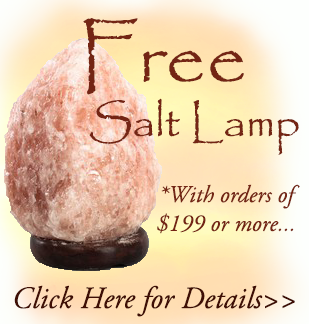 But those enchanting glowing rock lamps are actually made of Genuine Himalayan Pink Salt crystals! This special salt gets its color from the minerals contained in the salt, which also make it a very tasty, and nutritional gourmet seasoning for your food! 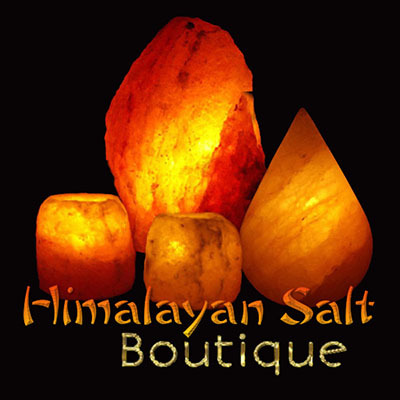 The minerals are present because millions of years ago, an ancient sea dried up in the area of the Himalayan foothills, leaving behind the rich, peachy-pink colored salt these lamps are created from. Today the salt bed lies deep beneath this region which we now know as Pakistan. The salt is carefully hand-mined, as it has been by the indigenous people of the area for centuries, to bring you the benefits of the salt. And the minerals contained within this all natural, organic sea salt are the key components that make these crystal lamps so delightful! 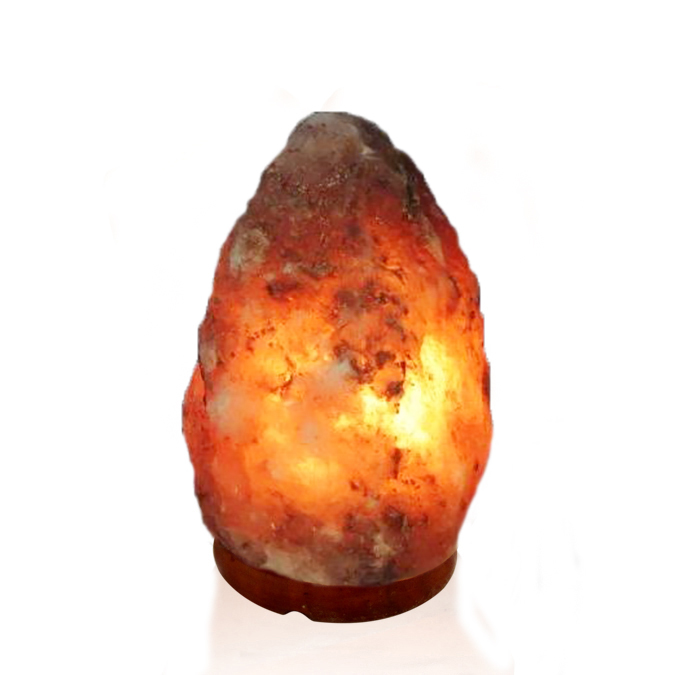 As the bulb or candle warms the Himalayan Salt Rock Lamp or Candle Holder from the inside, negative ions are released into the air. These negative ions make harmful particles in the air clump together so that they fall to the ground. This cleansing process rids the air of allergens, dust, and other particles that can irritate the respiratory system. The beneficial effects of negative ions are scientifically proven, and are present everywhere in nature. Produced when water molecules become agitated by movement, negative ions cleanse the air at the beach, in a forest after a good rainfall, and around waterfalls, creating the naturally tranquil atmospheres that relax our minds and bodies. Aid in relief of symptoms caused by Asthma, nasal conditions such as Sinusitis, and common allergies. Provide relief from migraines and headaches. Enhance serotonin levels in the blood stream; a lack of which could contribute to depression and anxiety. Reduce symptoms of irritability and depression. Enhance and reinforces the immune system. Diminish susceptibility to colds and the flu. 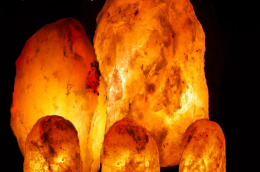 Due to their reputed ability to improve concentration, promote feelings of well-being , and more, the effects of Himalayan Salt Lamps have also been noted in the treatment of ADD, as well as other various anxiety issues and disorders of the mind in other countries of the world. Salt Lamps are completely quiet, unlike traditional Air Ionizers/Purifiers, so you can sleep while the lamp helps to purify the air. Salt lamps emit a warm, tranquil glow that helps to aid emotional well-being by adding enchanting, soft light to your home. Each lamp is hand crafted to retain the salt’s unique, natural look and the beauty of the salt crystals, so no two salt lamps are alike, producing a unique, functional work of art. 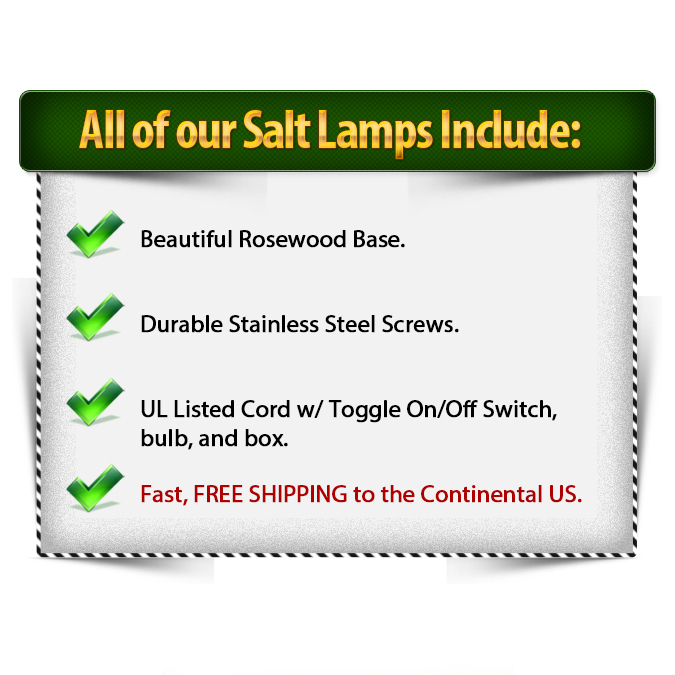 All of our lamps are UL Recognized/Listed. 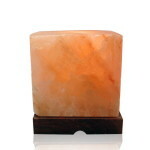 We guarantee that each and every salt lamp in our collection is one of a kind! In fact, due to the nature of these organic works of art, it is impossible to ensure exact color, shape, weight, and dimension. So your Salt Lamp WILL be entirely unique. 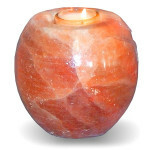 Color: Himalayan Salt Lamps contain natural veins, cracks and striations, with colors ranging from light peach/pink, to orange and dark red, characteristics which, in part, allow for the unique appearance of each lamp. Weight: The weight of the lamps vary from item to item; the lamp you receive will possess a weight within the given range listed in the item description. 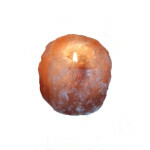 Dimensions: The dimensions stated in the salt lamp item information are approximations based on averages, and are intended to give a general idea of the size of the lamps. The actual lamp you receive may vary slightly. Shape: Hand crafted from individual, natural salt crystals, the exact shape of each lamp will vary from piece to piece, and from the image depicting the item, adding to the unique quality of each lamp.